One of our most-popular garden themed wedding favors and bridal shower favors! Nothing says "garden party" like a steaming cup of black tea. Treat your wedding or bridal shower guests to a relaxing cup with our Garden and Flower Theme Tea Party Favors. 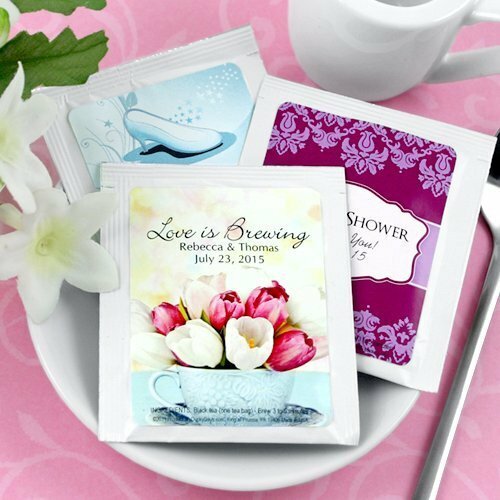 Each of our single serving personalized tea bags is customized with the floral design of your choice along with 3 lines of text to commemorate your big day. Easy assembly with self-stick labels. For an extra fee we will assemble the labels for you.